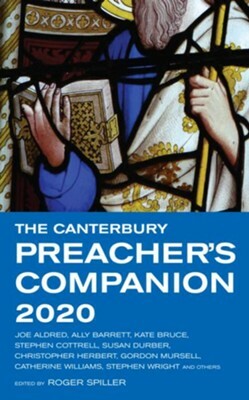 An annual favourite, the Canterbury Preacher's Companion provides a total of 150 complete sermons for the coming year, with hymn suggestions. For each Sunday of the year there are two sermons based on the Principal and Second Service Lectionaries, plus a section of sermons for special occasions. Roger Spiller served as a parish priest, hospital chaplain and Diocesan Director of Ministry before his retirement. He is Chair of the Trustees of the College of Preachers. I'm the author/artist and I want to review 2020 The Canterbury Preacher's Companion.